Neighbors had been growing and tending extra flowers for this wedding all summer long. 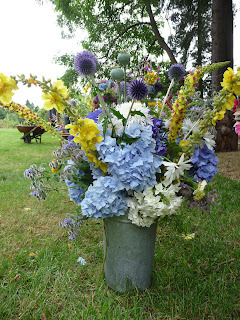 The day of harvesting finally arrived, and I had the pleasure of watching as bucket after bucket of flowers arrived and crowded together on the front porch of the house. 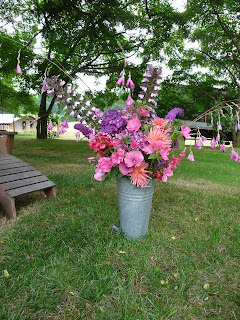 Long stems, short stems, an old paint bucket filled with 10 different kinds, mason jars full of sweet peas. 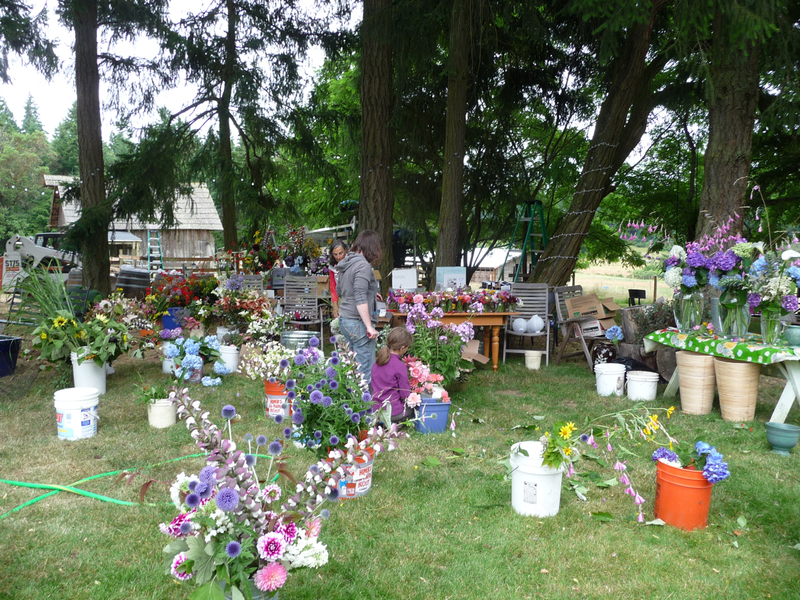 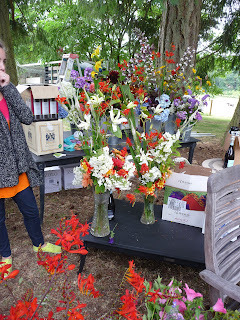 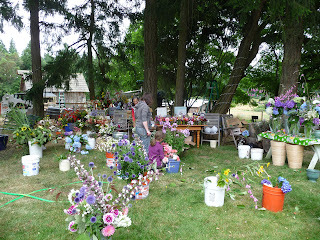 Friends and neighbors convened at the house the day before the wedding to help with the flower arrangements. 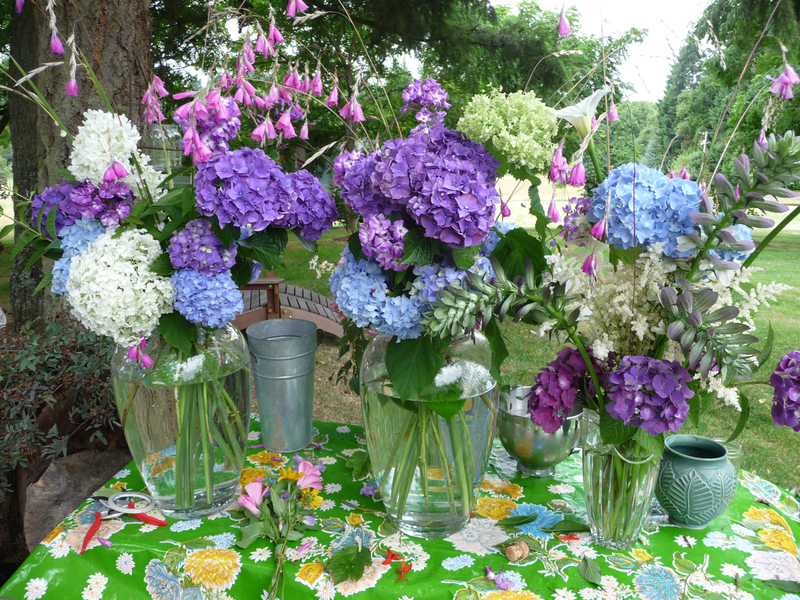 We taped a grid over the mouth of each vase to better stabilize and contain the stems, and then set to work in pursuit of our own floral arranging styles. The results were seriously breathtaking. 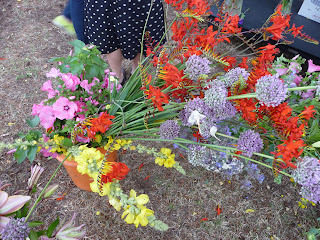 Everything was in season so nothing looked out of place, the colors were vibrant, and the flowers were everywhere. 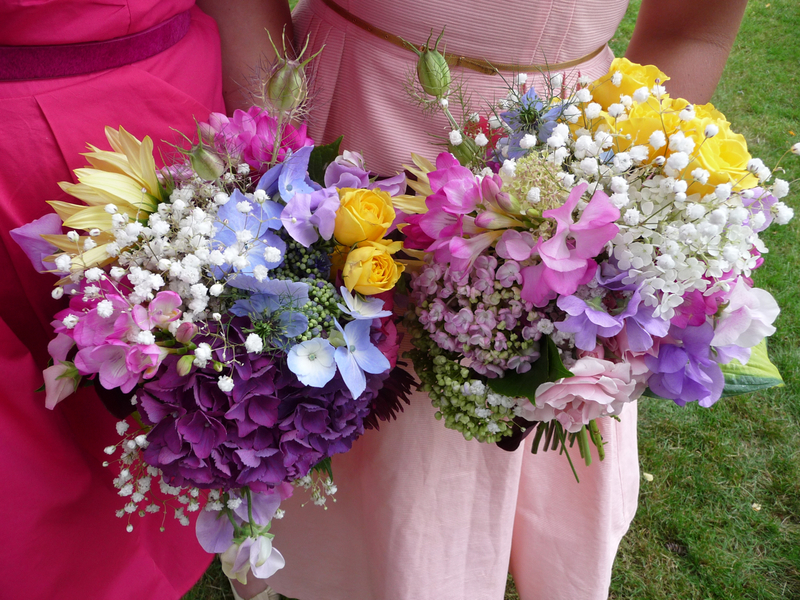 We had one very talented family friend who made all the bride/bridesmaid bouquets and the boutonnieres. 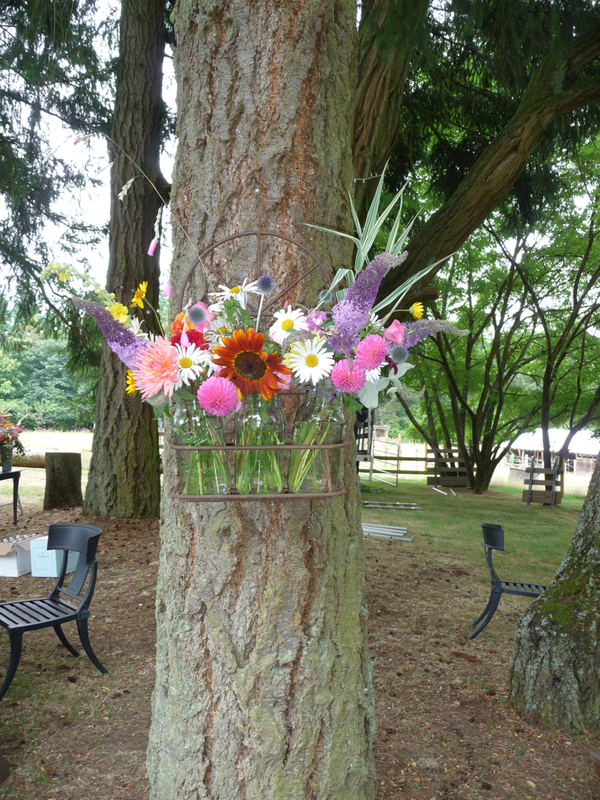 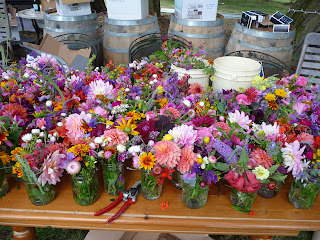 These were a combination of locally donated and purchased flowers.